Happy New Year! And Other Old News | Neri Approves! While I may have been too busy jumping out of planes to keep up with my blog roll, the lovely Angelya let me know via Twitter about Discopriest’s WoW Secret Santa. While I had a bit of a challenge on my hands trying to find something Warcraft-ish in the small town I was visiting at the time, I managed to put together a little package for @noadikins complete with polymorph coffee mug. It wasn’t quite the Ghost Wolf I had hoped to get, but hey! Mage was listed as an alt, so it totally works. 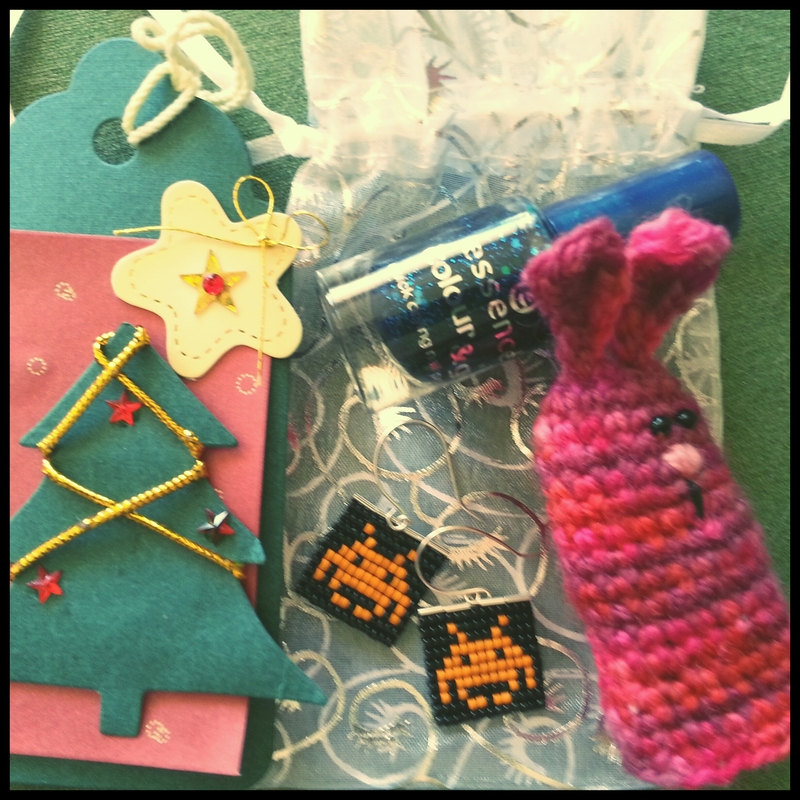 In return, I got the gorgeous, handmade package (pictured below) from @glowbie. Aren’t those Space Invader earrings just adorable? Thank you, Glow! One of the joys of playing with friends from back home, is when I myself go back home we can usually do a “guild catch up”. 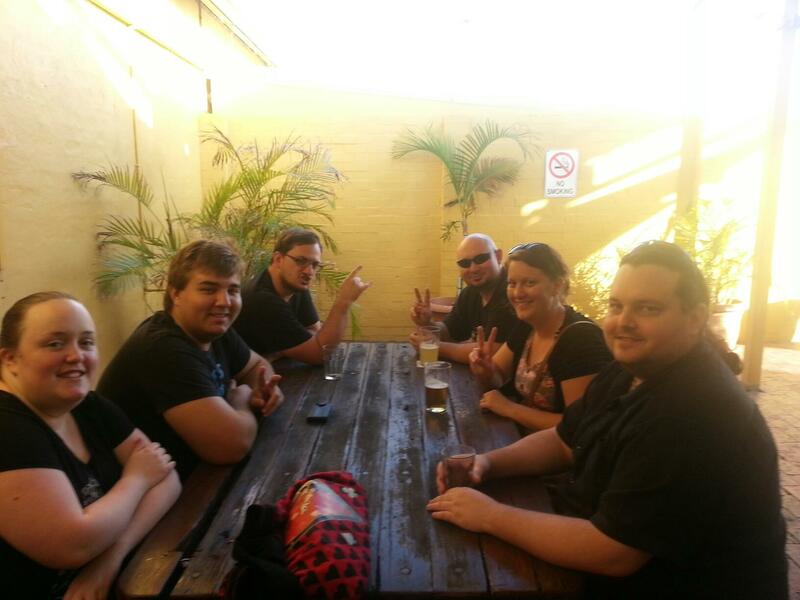 This year we had the pleasure of being joined by two guild mates who we had known for years in-game, but had never met in person. It was a truly awesome — and surreal — to hear familiar voices from Mumble coming from the seat across from you at the local pub! There were many laughs, as well as a few of those, “Who is the Druid again?” moments, but all in all it was a fantastic afternoon. My only regret is that I couldn’t stay longer and get to know them both a bit better. 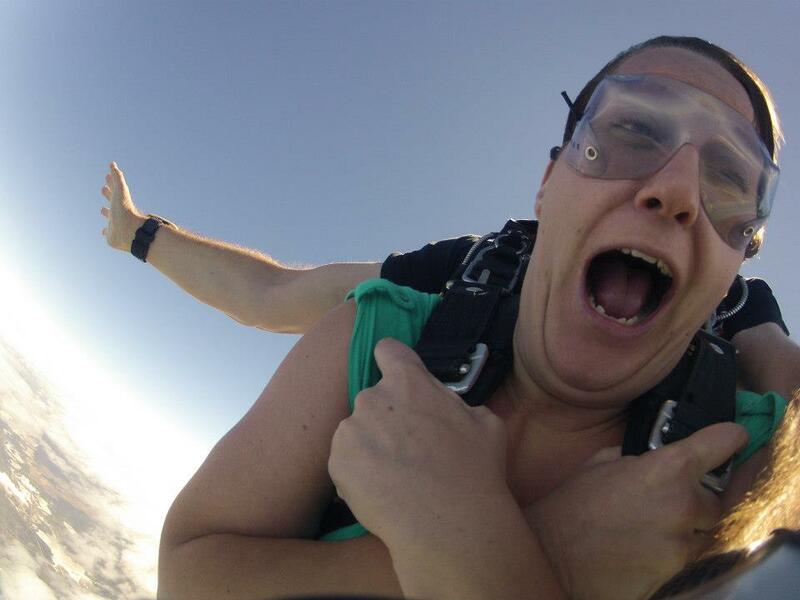 Skydiving: Nowhere near as terrifying as Raid Leading. Tags: Concur of Blackrock, Happy New Year, Holidays, Raid Leadership, Relationships, WoW Secret Santa. Bookmark the permalink.